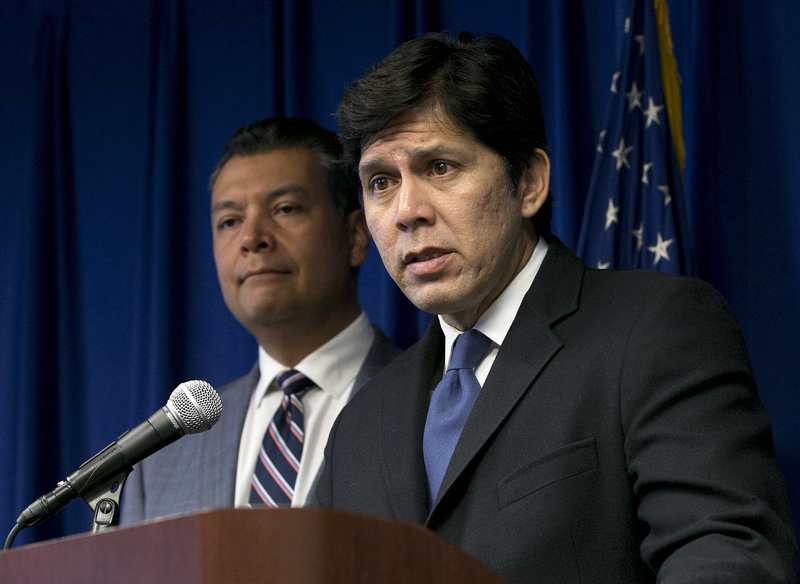 SACRAMENTO, Calif. (CN) – California’s Democrat-on-Democrat clash for a U.S. Senate seat ratcheted up over the weekend, as party delegates spurned longtime Senator Dianne Feinstein in favor of progressive candidate Kevin de Leon. But many experts believe Feinstein will win handily in November anyway, despite the delegates’ fervent hopes. The California Democratic Party delivered a ringing victory to de Leon, currently representing Los Angeles in the state Senate, with 65 percent of party voting members endorsing de Leon. Feinstein, a 26-year incumbent seeking a sixth full term, announced she wasn’t seeking the party’s endorsement earlier this month and received just 22 of a possible 333 votes. De Leon, 51, said the vote was a “clear-eyed rejection of politics as usual in Washington D.C.” and a strong signal that California Democrats are seeking a bold progressive agenda. While the endorsement certainly brings perks – de Leon’s name will appear on millions of party voting mailers and could open up new fundraising avenues – Feinstein with her deep war chest is still the solid favorite to win the top-two statewide showdown in November. Jeff Millman, Feinstein’s campaign manager, pointed out that the six-term senator also won the June primary over de Leon by more than 2 million votes without the party’s official endorsement. Feinstein, 85, carried each of California’s 58 counties and beat de Leon in his home county by over 300,000 votes. “We are confident that a large majority of California Democrats will vote to re-elect Sen. Feinstein in November,” Millman said in a statement. 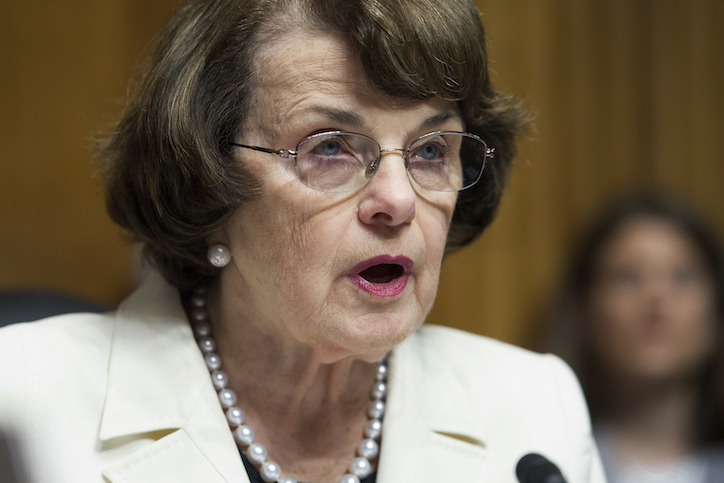 Prior to the vote, Feinstein called on the party delegates not to officially endorse either candidate. Instead, Feinstein urged the party to focus its efforts and messaging on the various congressional races against Republican incumbents across the Golden State. Her message wasn’t completely ignored, as 28 percent of delegates didn’t endorse a candidate. Though Feinstein trampled de Leon and the other challengers in the primary, the party endorsement shows that he’s gaining name-brand recognition with voters, says California Public Policy Institute president Mark Baldassare. “To me the endorsement really spoke to the fact that de Leon’s become very well-known and he’s been an important figure for people that are happy with the job he did as president of the state Senate,” said Baldassare. The nonpartisan PPIC has not conducted a poll since the June primary but other surveys show Feinstein with a decided advantage. A June USC Dornslife/Los Angeles Times poll pegged Feinstein with a 36 percent to 18 percent advantage over de Leon with registered voters. The survey also found that 46 percent of registered voters were undecided, opening up the door for de Leon to try and sway voters dissatisfied with Feinstein. De Leon has come out in favor of single-payer healthcare, abolishing ICE and is leading legislation that would require state utilities to be completely reliant on clean energy by 2045. The candidates have not yet scheduled a pre-election debate. Hussey said that while the path to victory for de Leon is narrow, the endorsement represents a growing split between the more moderate traditional Democratic base and a growing progressive faction. The younger, more liberal Democrats are tired of waiting their turn, Hussey added.